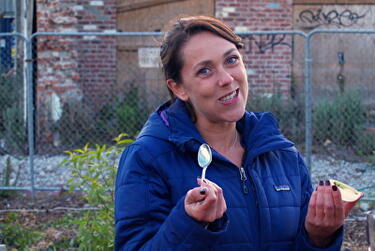 Showing 241 - 258 of 258 results. 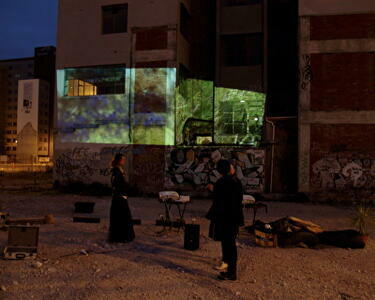 A photograph of the launch event for Australian artist collective Field Theory's project The Stadium Broadcast. 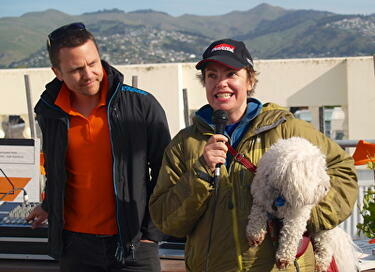 The launch is being held on the rooftop of C1 Espresso. 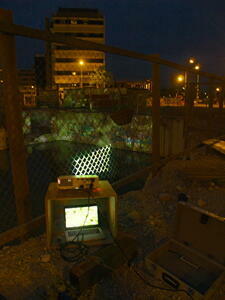 The Stadium Broadcast was a 72-hour non-stop performance of personal tributes to Lancaster Park. The performance ran from 14 to 17 November. The launch event was part of FESTA 2014. 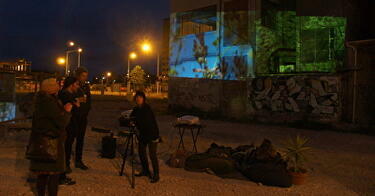 A photograph of The Present State - a contemplative installation that played projected recordings of foraging adventures by Plant Gang. 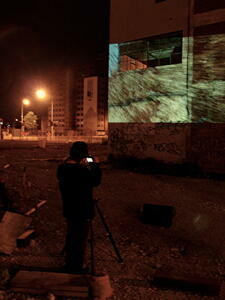 The installation was part of FESTA 2014 and was located on a vacant site at 100 High Street. 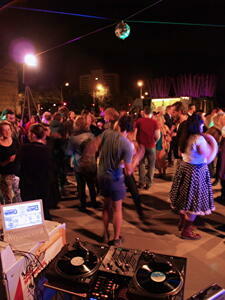 A photograph of people dancing on the Gap Filler Dance-O-Mat during Super WOW Disco. The event was part of FESTA 2014. 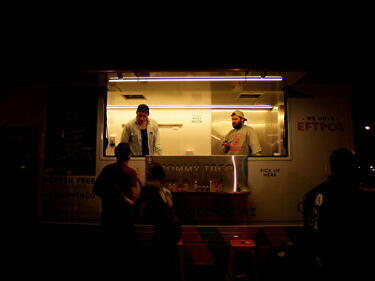 A photograph of the Tommy Taco vendor at Gap Filler's Dance-O-Mat, during Super WOW Disco. 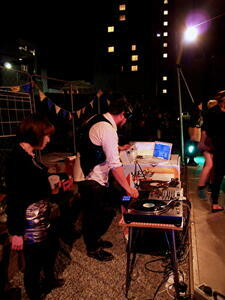 The disco was part of FESTA 2014. 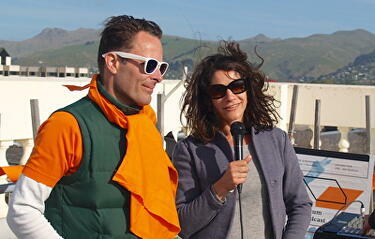 A photograph of the DJs at the Super WOW Disco. This event was held at Gap Filler's Dance-O-Mat and was part of FESTA 2014. 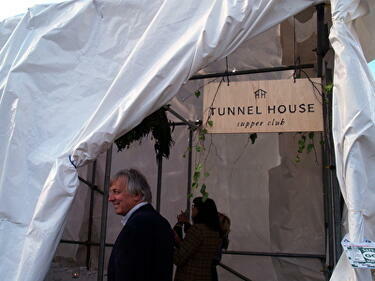 A photograph of people entering Tunnel House Supper Club - a pop-up restaurant located at Agropolis. The restaurant existed for one night only, during FESTA 2014. 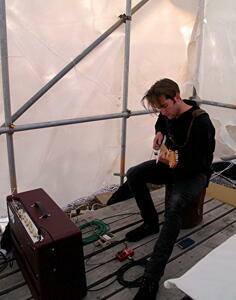 A photograph of musician Harry Knight playing guitar at Tunnel House Supper Club - a pop-up restaurant located at Agropolis. The restaurant existed for one night only, during FESTA 2014. 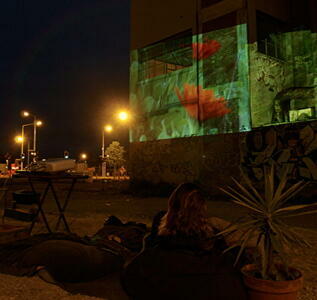 A photograph of Tunnel House Supper Club - a pop-up restaurant located at Agropolis. The restaurant existed for one night only, during FESTA 2014. 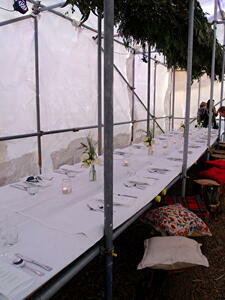 A photograph of the table at Tunnel House Supper Club - a pop-up restaurant located at Agropolis. The restaurant existed for one night only, during FESTA 2014. 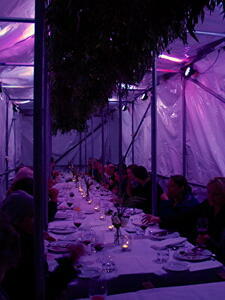 A photograph of a diner at Tunnel House Supper Club - a pop-up restaurant located at Agropolis. The restaurant existed for one night only, during FESTA 2014. 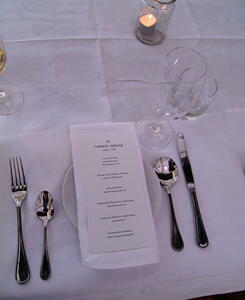 A photograph of a place setting at Tunnel House Supper Club - a pop-up restaurant located at Agropolis. The restaurant existed for one night only, during FESTA 2014. 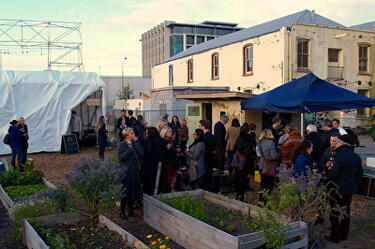 A photograph of people gathered at Agropolis for Tunnel House Supper Club - a pop-up restaurant located at Agropolis. The restaurant existed for one night only, during FESTA 2014. 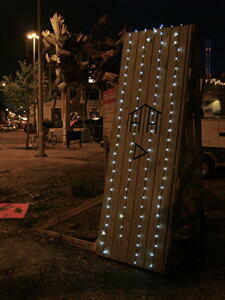 A photograph of a wooden panel with fairy lights strung over it for Tunnel House Supper Club - a pop-up restaurant located at Agropolis. The restaurant existed for one night only, during FESTA 2014.